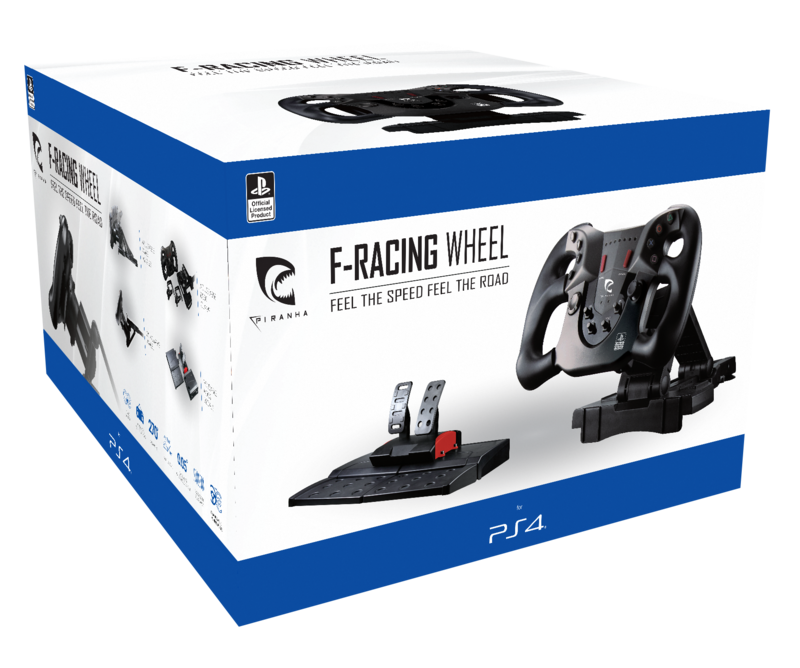 Racing games have never been more fun then with the F-RACING wheel from PIRANHA. Feel every turn, every bump, and all the traction from the tarmac. The official licensed F-RACING wheel and pedals from PIRANHA comes with 2 Axis and a maximum 270 Degree rotation, enjoy full control with adjustable sensitivity. Racing on a racing rig? Easy to install with our included mounting clamps. Racing on a table? We got you covered, the F-RACING Wheel from PIRANHA has 2 preinstalled suction pads. Feel the speed, feel the road.